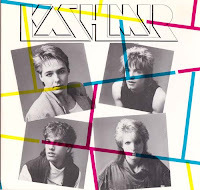 Never mind the mullets...here's Kashmir. Okay, so let's not ignore the elephant in the room. In short, if you can get past the sleeve of this 45, which is gratuitously seeped in the '80s as you could ever possibly get (not that you'd want to...right? ), the proceedings within the grooves are surprisingly flattering. Don't let their moniker fool you, there's not a shred of Led Zeppelin homage occupying a stitch of these songs, rather a straightforward new wave motif reigns here. The sublime "Outside" packs a hook far more devastating than any of their mainstream competition could muster, thankfullyy deriving more from U2 and the 415 Records crop than say, Duran. "Boy" is a bit darker, but no less approachable. 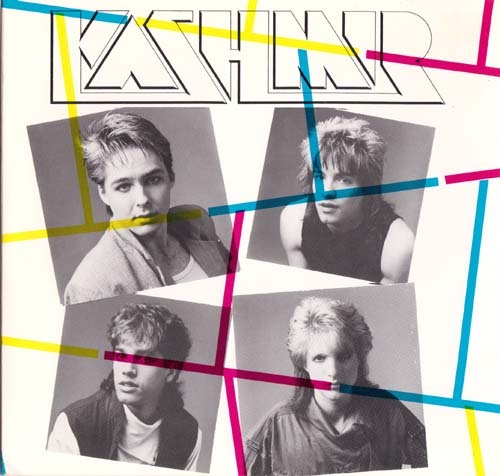 I have not a shred of info to pass along regarding Kashmir, save for their whereabouts, potentially in the Portland, OR area, which is where this single was cut. Well, this one I am going to have to check out. I would be extremely grateful if you could re-upload this. I knew Petty (top left corner) growing up and it we be awesome if I could listen to this again. Thank You.